Plug and play pack for busy artists. 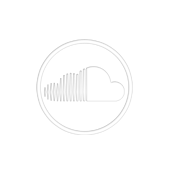 Buy Soundcloud comments, likes, and plays from engaged users. Turn around your promotion campaign for a long term perspective. For the artist who looks at the future, presenting the PromoSoundGroup Two-Month Soundcloud package! Play with your online music promotion your way over two full months, redistributing digital goodies across your tracks at will. Achieve any music promotion objective you got in mind! The package is on an open use date basis. With this package you get 800 comments, 800 favorites and 40,000 plays on Soundcloud to use however you see fit. Grow your audience and boost your profile organically and your way, with our professional music marketing service. Delivery time: 5 days (i.e. the 2 months start 5 days or less after your order).